Sinking ships, and struggling teenagers. Gordon Korman starts The Island on one deserted island, with six city teenagers barely making it to the shore after their ship sinks. Luke, Ian, J.J, Charla, Will, and Lyssa must find a way to survive on the mysterious island. They have no food and very few supplies. Just when they think they’re all alone, they’re not. And that’s even worse. The teenagers build a makeshift shelter and begin to forage for food. Ironically just as Ian was justifying that the chances of being rescued this early are almost impossible, a plane flies overhead and lands on the other side of the island. Believing the plane holds their rescuers, the teenagers run to the other side of the island, only to witness a murder by the men on the plane While the teenagers are spying on the murderers, a hungry watchdog detects their presence. They run back to camp and decide that keeping a low profile is the only way to avoid being captured. The grand idea of this novel was about friendship, and how good friends can help each other out. Their relationship was built on trust. The teenagers had to survive on the Island starting with a couple logs of driftwood. Then, they had to work together to create a makeshift tent on an island in the middle of the ocean. This book would be categorized in action/adventure genre because of the different components inside. For example, when the guard dog caught the teenagers’ scent and started barking, the scene became very intense. The Island is a “must read” novel. I would recommend this book to middle schooler because of the grim details. 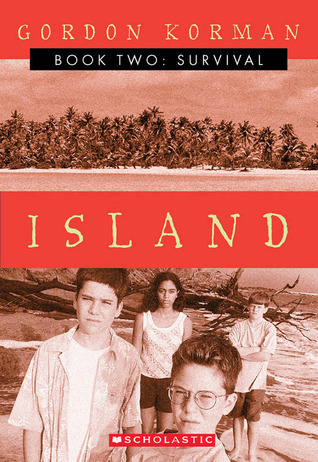 At the end of the book the teenagers try to find a way off the mysterious and dangerous island. Will they ever escape?